The PartnerTech PT-6212 has been discontinued. No direct replacement is available. The perfect solution for small and medium-size enterprises to keep pace with competitors. 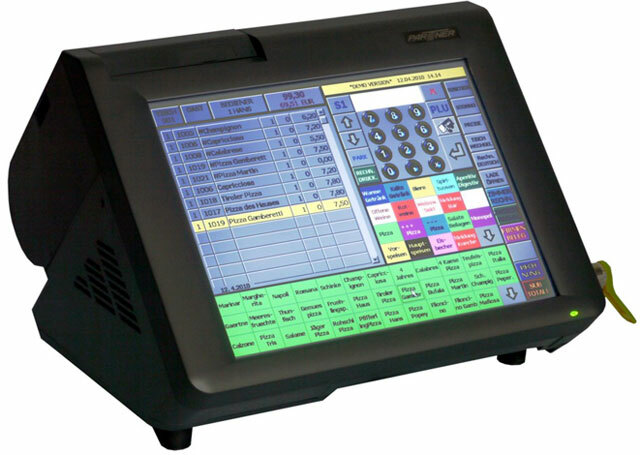 The PT-6212 comes with integrated customer display, 80 mm Epson thermal printer and 3 track MSR as standard. Its compact and small footprint design makes the device extremely counter-space saving. 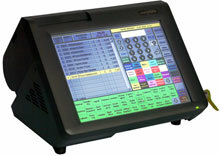 The attractive and inconspicuous appearance fits into every POS environment, without any extra modules, cables, etc. It is easy to install and can be used in many different businesses like retail, kiosk, convenience-stores, fashion or hospitality. 12.1" ELO RESIST TFT, INTEL 1 GHz, 3 track MSR, 2 GIG RAM, 80GB HDD, 4 Serial, 4 USB 2.0, INTEGRATED NIC, COMPACT FLASH SLT, 80 MM PRINTER, 2X20 CUSTOMER DISPLAY, XP PRO EMBEDDED. 12.1" ELO RESIST TFT, INTEL 1 GHz, 3 track MSR, 1 GIG, 80GB HDD, 4 Serial, 4 USB 2.0, INTEGRATED NIC, COMPACT FLASH SLT, 80 MM PRINTER, 2X20 CUSTOMER DISPLAY, XP PRO. 12.1" ELO RESIST TFT, INTEL 1 GHz, 3 track MSR, 1 GIG, 80GB SOLID STATE DRIVE, 4 Serial, 4 USB 2.0, 1 PS/2KB, INTEGRATED NIC, COMPACT FLASH SLT, 80 MM PRINTER, 2X20 CUSTOMER DISPLAY, POS READY. 12.1" ELO RESIST TFT, INTEL 1 GHz, 3 track MSR, 1 GIG, 80GB HDD, 4 Serial, 4 USB 2.0, 1 PS/2KB, INTEGRATED NIC, COMPACT FLASH SLT, 80 MM PRINTER, 2X20 CUSTOMER DISPLAY, POS READY. 12.1" ELO RESIST TFT, INTEL 1 GHz, 3 track MSR, 1 GIG, 80GB HDD, 4 Serial, 4 USB 2.0, 1 PS/2KB PORT, INTEGRATED NIC, COMPACT FLASH SLT, 80 MM PRINTER, 2X20 CUSTOMER DISPLAY, NO OS.